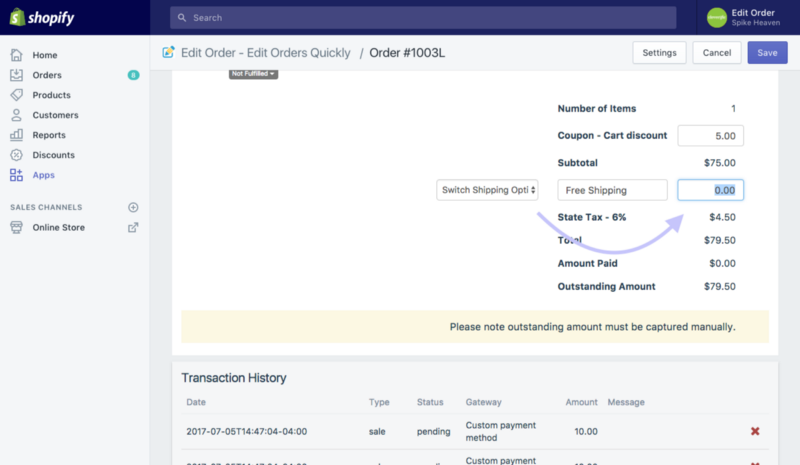 This article will show you how to use Edit Order to customize an order, and add discounts for a specific customer’s order. 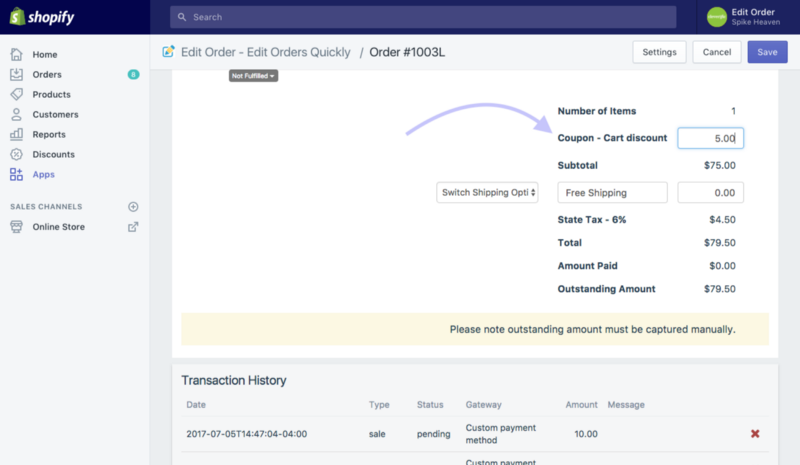 Open an existing order and click More actions. Under the Price column, change the price that is listed for the product and enter a new one. 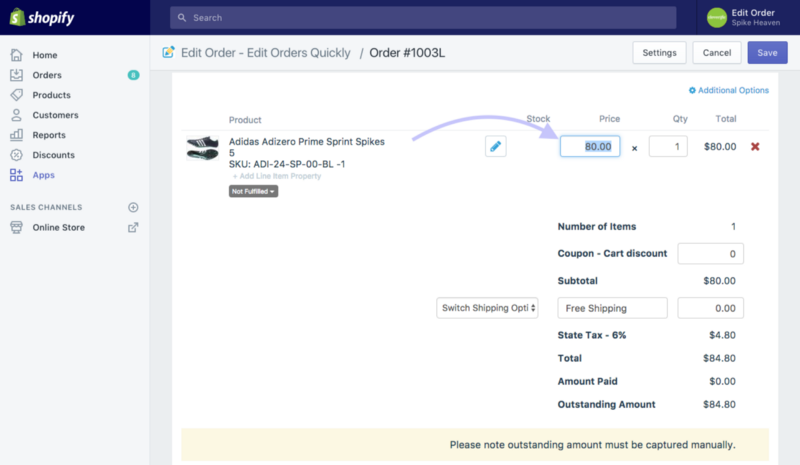 In the Coupon- Cart discount field, enter a flat amount to reduce the subtotal price. 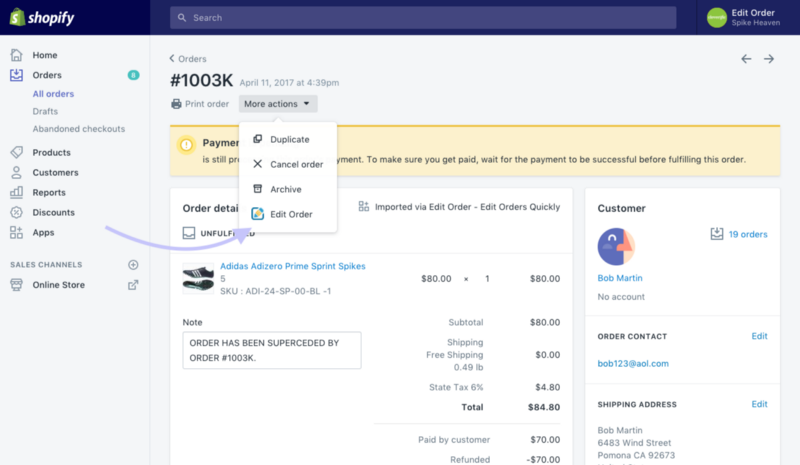 You can offer free shipping to your customer by entering zero in the designated field. Or, create a new shipping line by entering the price you want to charge and changing the name of the shipping field. Having the flexibility to discount and change shipping rates is perfect to help you extend the best customer service to your buyers. Customers will feel important and cared for knowing that the online store they shop at has the ability to customize their order if necessary. This can create big opportunity for your business by helping your customers feel more connected to your store.